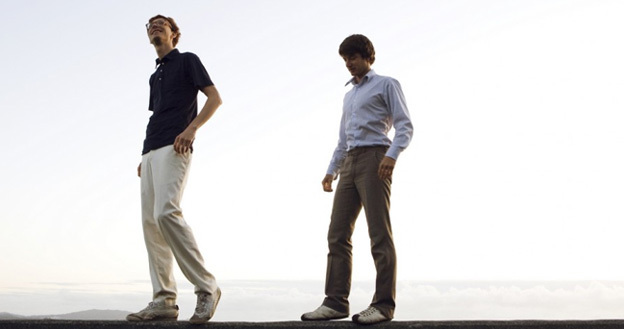 Folksinger-Duo Kings of Convenience are one of the major acts from Bergen, Norway. Eirik Glambæk Bøe and Erlend Øye make a unique acoustic guitar driven sound while their voices harmonize perfectly together in big melodies. Here we have an acoustic set of „Mrs. Cold“ from their last album „Declaration of Dependence“ made in 2009.